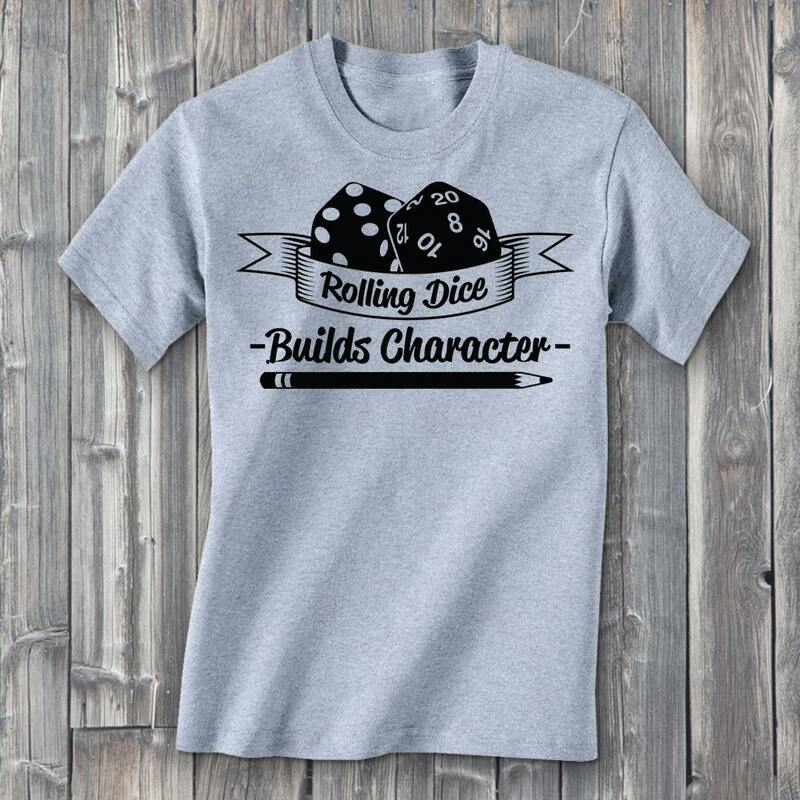 Rolling dice is really the quickest way to build character. 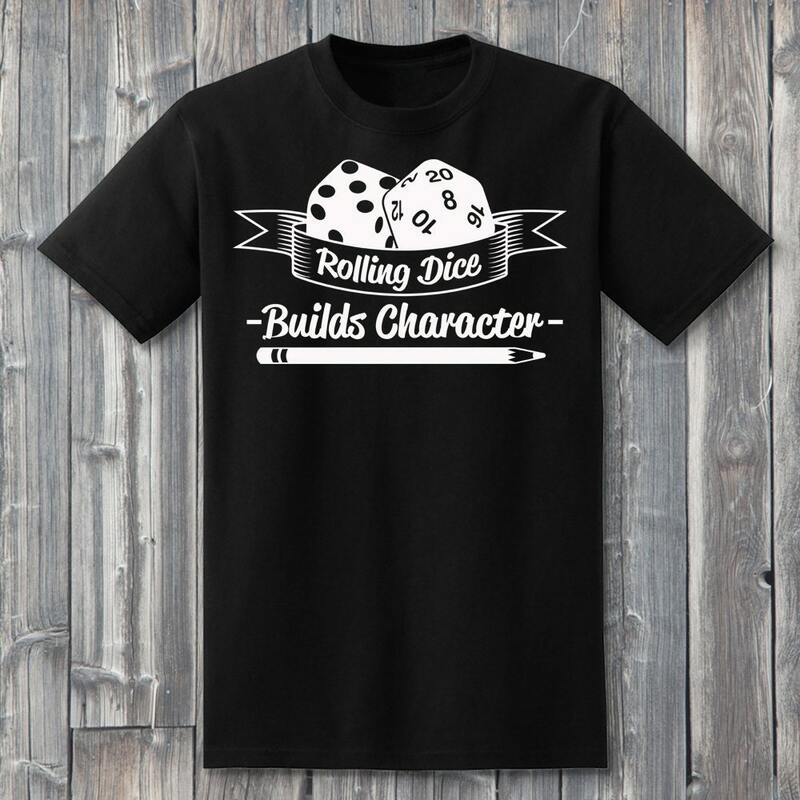 Celebrate your love for tabletop and digital role-playing games with this awesome Dungeons and Dragons shirt from Level1gamers! 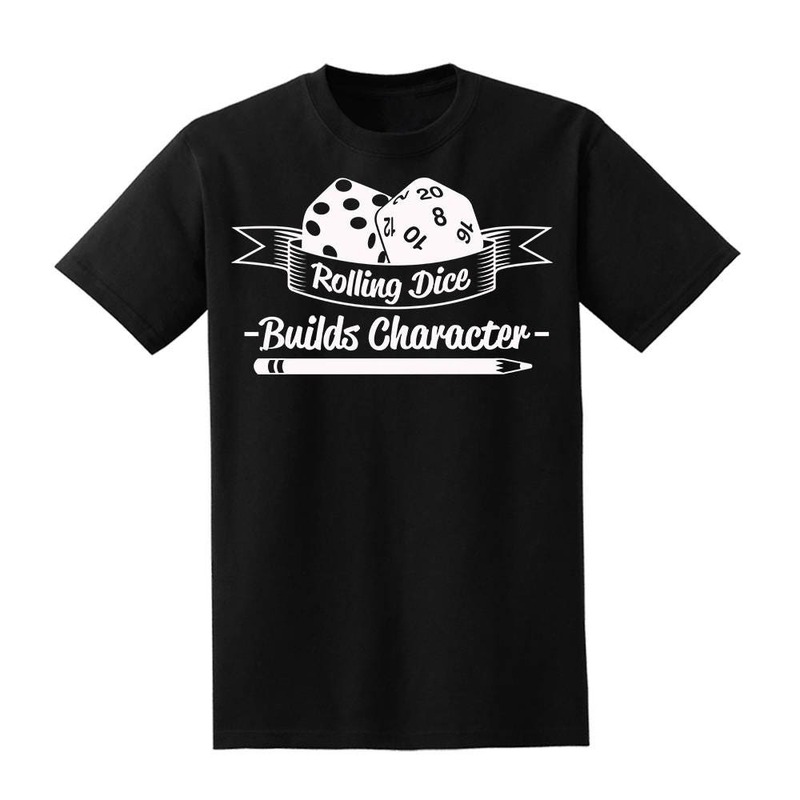 Makes a great gift for gamers who love rpg shirts and dice shirts. We hand press every shirt with love using quality heat transfer vinyl on soft cotton shirts. 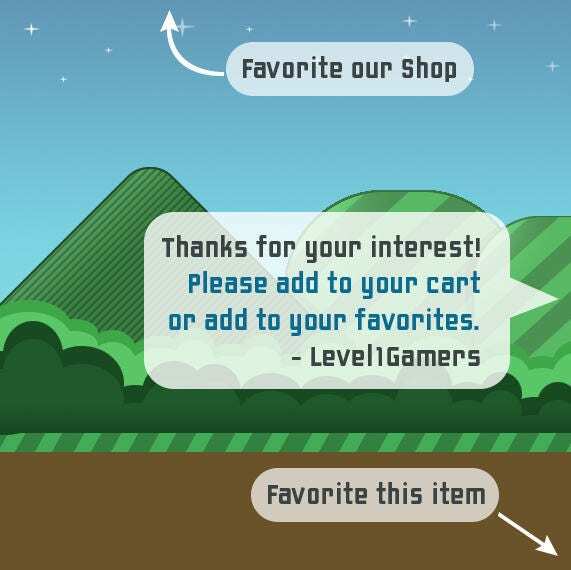 Looks great on male and female adventures! 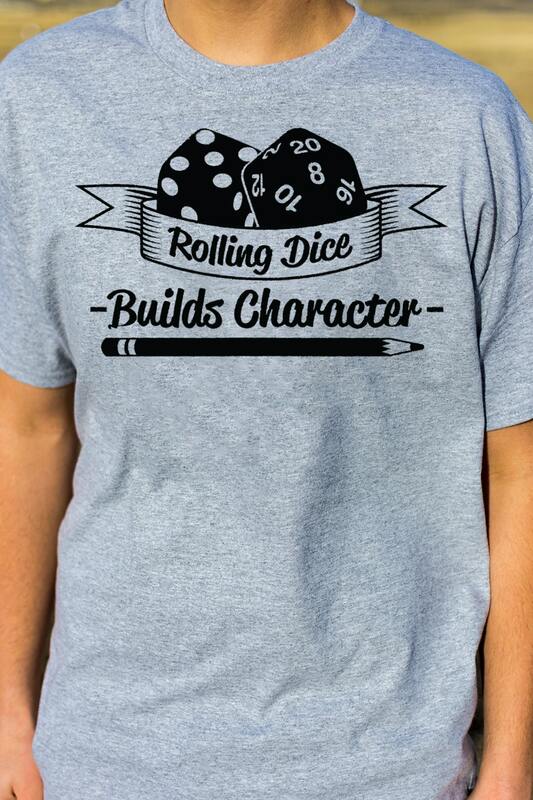 The Dungeon Master may even let you get away with a re-roll.